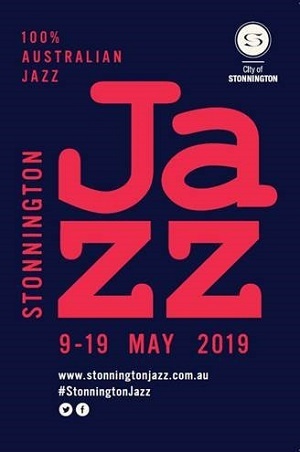 Featuring exceptional performances, the Stonnington Jazz Festival program is sure to excite. Running from 9 to 19 May, this festival is set to challenge what you know about Australian jazz. Returning Artistic Director, Chelsea Wilson, has curated an incomparable line-up for this year’s festival. Opening the festival is War Cry a celebration of vocal power and passion. Uniting the extraordinary voices of Michelle Nicolle, Odette Mercy and Fem Belling, this concert will explore the political, socially aware and thought-provoking spirit of jazz. A specially curated band led by bassist Claire Cross will support each vocalist with hard hitting grooves and harmonies as they perform their selections. A highlight of the Chapel Off Chapel Concert Series will be Queens of The Jazz Age that brings together jazz, big band, and cabaret artists for a truly unique event. Hosted by stage royalty Rhonda Burchmore, the show features artists including Dolly Diamond, Stella Angelico, Cougar Morrison and Jack Earle (with his big band) to bring the days of Hollywood glamour to Stonnington. • Sam Anning Sextet - award winning bassist presents compositions from his award winning album. Be a part of the action and start your journey with the Get Involved program, including workshops, children’s activities and the ever popular Jazz Jam which will have you singing and dancing right through winter. Bringing together great minds, The Jazz Industry Summit, will include workshops, keynotes speakers, round table discussions and mentoring sessions. Perfect to extend, develop or kick start your career. Closing the festival is a celebration of traditional jazz with Cold Nights, Hot Jazz featuring Sugarfoot Ramblers, Monique Dimattina and other special guests. All tickets now on sale here. We are big fans of our members- they keep our station running! Here we chat to Harmony's Tom Lyngcoln about how PBS directly influenced his music making!